Photo: Mats laid out in our training area make good destinations to encourage willing movement to the next destination. First we can have them close together, then further apart. Destination training adds an important dimension to a horse’s ability to understand what we would like him to do. We have to remember that the horse is captive to an alien species. Unless we take him through a careful, thin-sliced training plan to teach him what we would like him to do, he has no way of knowing what we want. Every moment we are trying to figure out how to communicate with our horse, he is trying even harder to figure us out, and work out what we want him to do. Giving the horse destinations helps him to make sense of many of our signals, because he sees a purpose to what we are asking him to do, rather than keep him forever locked into a mystery tour. Like us, to remain confident, horses like to know what is going to happen before it happens. Photo: Here we have set up a series of white target disks along a track. Boots earns a click&treat for targeting each one with her nose. Gradually we would spread them out further and further, eventually attach them in appropriate places along a longer ride on road or trail. Once the horse loves to move on to find the next target, we can introduce targeting of natural objects like trees or rocks, bushes, particular fence posts. 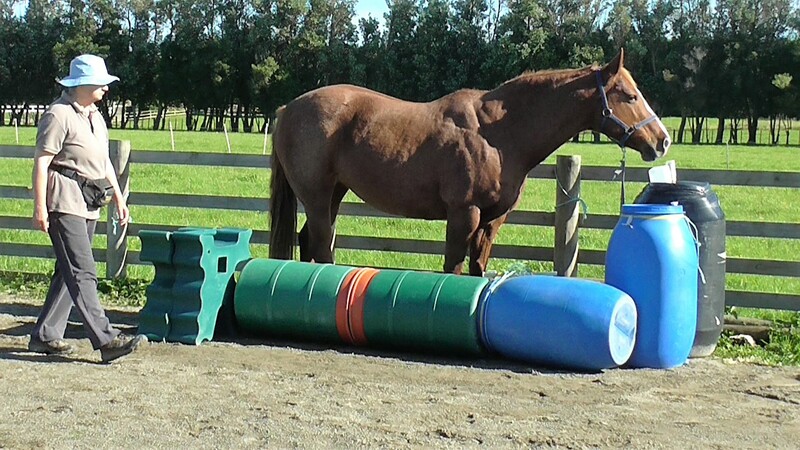 We can also teach ‘target places’ like corners of paddocks or favorite grazing spots. The pdf document has a bit more detail and much more information is available in the HorseGym with Boots clips on YouTube. This entry was posted in General Comments on February 18, 2015 by herthajames. Photo: Sitting with the horse in a roomy, enclosed area, asking nothing of him except politeness. This is a superb way to build a new relationship with a new horse or to to build an improved relationship with a horse we have already. 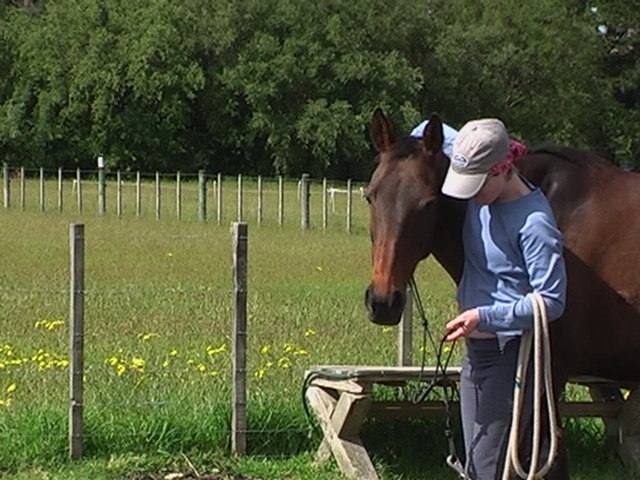 It’s only when we feel safe with our horse and our horse feels safe with us that real teaching and learning can go on. If our horse makes us feel worried or afraid, we need to take heed of the feeling and organize our environment so that we can be with the horse in a way that allows us to regain our safe, calm, centered core. Maybe we need to sit in our chair just outside the horse’s enclosure to start with. It will be difficult for a horse to remain in his calm, centered core in our presence if we are sending out vibes that tell him we are uneasy and nervous. 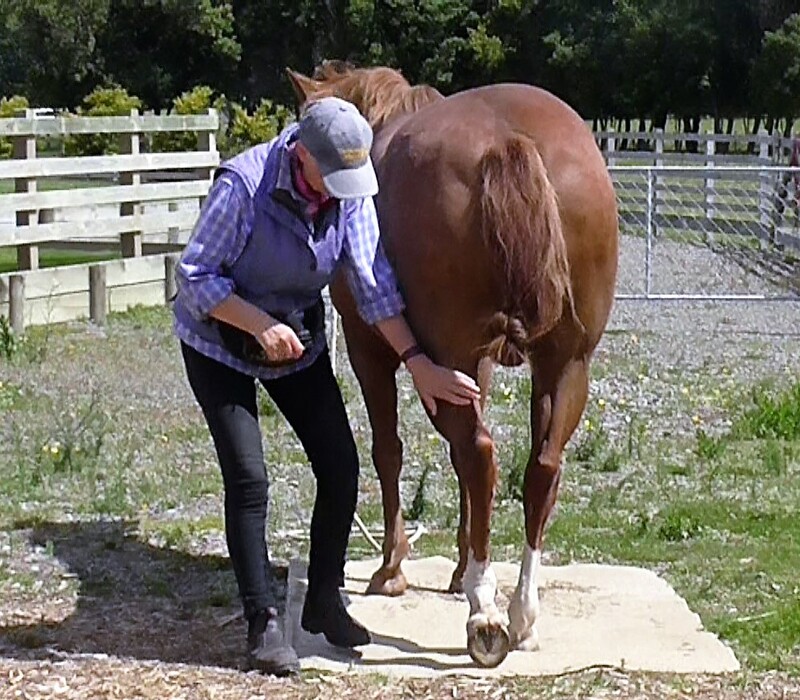 A very good first step is to spend undemanding time with the horse, in his home if we feel safe there, or on the other side of a fence or gate if we don’t. We need to carry a swishy type body extension so that we can enlarge our bubble without offending the horse by striking out toward him. Horses are very sensitive to the air movement of two swishy twigs or dressage whips, or the swishing of a string rotated like a helicopter blade. Horses easily understand when we are merely enlarging our bubble of personal space. If we strike out toward their personal bubble rather than just protect our own space, the horse will realize it instantly. It is important to be aware of the difference and to be mindful of which one we are doing. As we sit with our horse, we can read, meditate or just enjoy the quiet of being in the moment, looking and listening and breathing. It’s nice if the horse can be in a roomy area where he is comfortable, able to see his companions but not where they can interfere with your special time together. It works well to set a time limit. It doesn’t matter what the horse does. We are there as a companion, a paddock mate for the time we have set. We expect nothing of the horse except politeness. If he becomes overbearing, we move away with our chair or ask him to back off by swishing the air toward his feet to protect our personal bubble. The PDF attached has a look at ways to ensure our safety. 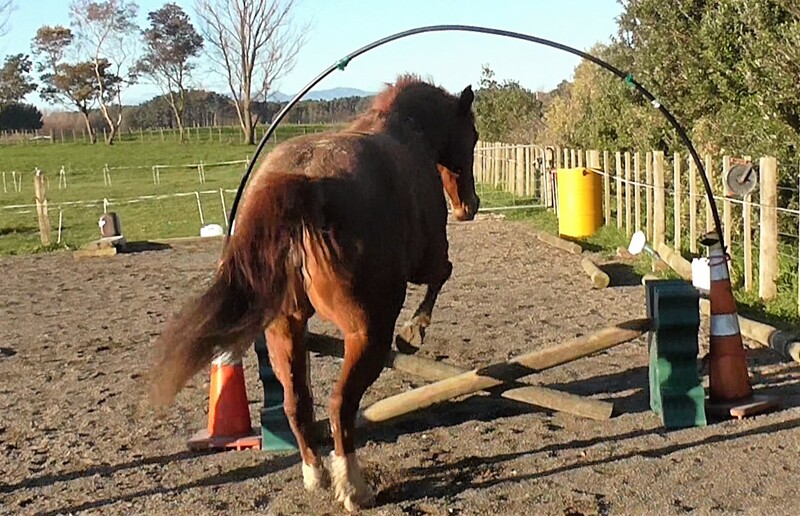 This entry was posted in Clicker Training Skills, General Comments and tagged body extensions, Clicker Training, Equine Clicker Training, Hertha James, herthamuddyhorse, Horse Agility, Natural Horsemanship, Positive Reinforcememnt training, Powerword Publications, PRT, Safety with horses on January 17, 2015 by herthajames.